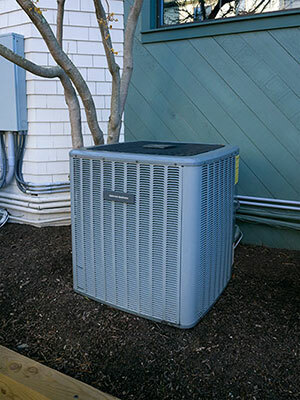 Boerne Air Conditioning Experts are the leading professionals in heater repair in Shavano Park, TX and the surrounding areas. Our team believes it’s important for our customers to understand what furnace efficiency, known as Annual Fuel Efficiency (AFUE), really means. For example, have you ever heard of 90% or 80% efficiency on your heating system? Technically referred to as AFUE, this is a measurement of how efficient the heating system is at utilizing the fossil fuel consumed. For instance, if your furnace is rated at 90%, there will be 10% waste. The best way to understand the real impact? With a 90% furnace, every dollar has .10 cents of waste and with an 80% furnace; every dollar spent to heat the home has about .20 cents of waste. So let’s break it down. 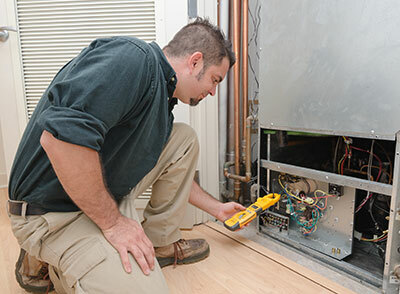 An 80% (or less) efficient furnace has a single heat exchanger, which adds heat to your home. That heat exchanger is responsible for capturing as much heat as possible; what it can’t capture is vented outside. This vent system is often 300 degrees or higher. Why? The heat that’s left inside the chambers, or, the heat that the blower can’t capture is exhausted outside—and all that heat is going outside. On the other hand, with a 90%+ furnace, there are now 2 heat exchangers, a primary and a secondary. The secondary heat exchanger is responsible for capturing any additional heat that is left over from the primary. The vent temperature is now closer to 70-100 degrees. Almost all heat that you are paying for is now going straight into your home. It’s also important to note that combustion within your heater requires 3 elements: source of ignition, fuel source, and oxygen. Oxygen is the most important part of proper and efficient combustion. When your heater is running, it requires oxygen to properly operate. If your furnace is 80% or less, it most likely has louvers on the front panels. These louvers in the door allow the furnace to pull air/oxygen into the combustion process. On a higher rated efficient furnace, there are no louvers located in the front panels, but rather a direct vent that comes into a sealed-combustion chamber. Lower furnace efficiencies have a negative impact not just on the environment but more importantly on your home. When your furnace is running it actually produces a negative pressure inside your home causing the cold winter temperatures to enter your home through every nook and cranny. Higher efficient furnaces have a direct vent that brings this needed oxygen directly into the chambers instead of through the home. In the end, higher efficiency furnaces will certainly save you money, but it’s also a wise idea to look at the larger picture and application of your home to determine the best approach—it doesn’t always pay to purchase the better efficiency. If you’d like to find out even more about heater efficiency, feel free to contact one of our team members at Boerne Air Conditioning Experts.